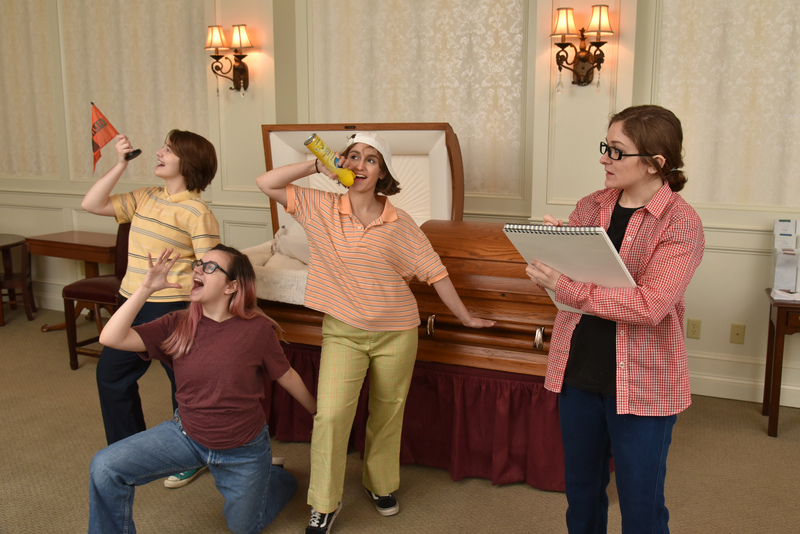 SUNY Oswego’s spring musical, “Fun Home,” explores the life of cartoonist and graphic novelist Alison Bechdel, who grew up playing in and helping out with the funeral home her father inherited. Here, the adult Bechdel (right) played by Michaela Buckley, observes, sketching memories of the hijinks of Small Alison (center, played by Rachel Leotta) and her brothers, Christian (Eliana Horning) and John (Ajsa Mehmedovic). Nearly 1,000 children, some a couple months old, roamed Breithbeck Park on Saturday. They “hunted” for more than 4,000 colorful plastic Easter eggs scattered around the park – mostly in plain sight.